Does Your Vote Really Matter? What You Can Do to Make a Difference. According to a Mises Daily article entitled Why Vote? your vote does not matter. The chance of a single vote affecting the outcome of the election would be about one millionth of one percent. In fact, if the entire state of Michigan had voted for John McCain, Barrack Obama would still have won the 2008 election. If the votes of an entire state do not matter how much less so does your individual vote? The Ludwig von Mises Institute argues that, in terms of affecting the outcome of an election, it does not. 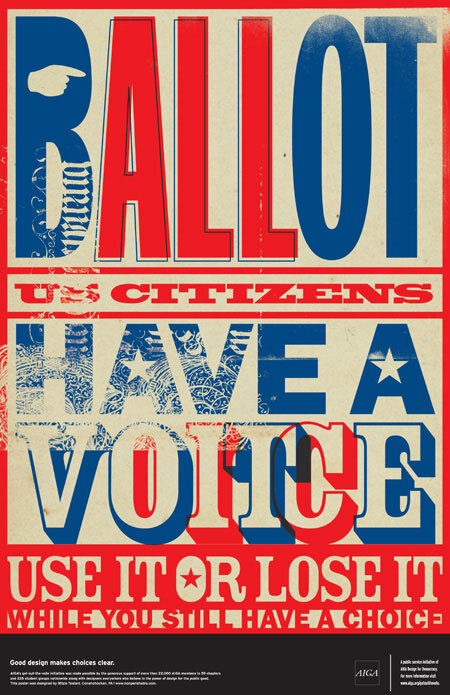 Voting is only the first step in exercising your voice. What your vote does affect, however, is you. This is because voting is a moral act. What matters is not so much whether or not we vote but how we vote. Our vote should always be ordered towards the common good: to promote what is good as much as possible and to minimize evil to the greatest extent. Unfortunately, the contemporary American two-party system, through its strict limitation of the voter’s options to two very similar and (in my opinion) equally bad choices, makes this very difficult. However, since we’ve already established that your vote is statistically insignificant, we should not limit ourselves only to the two traditional, “electable” candidates. Certainly we can vote for what we believe to be the “lesser of two evils” if we have an appropriate proportional reason for doing so but the best candidate may be third-party or even independent. In fact, if every candidate on the ballot is unsatisfactory to you then you can always write someone in. To do so might not “matter” as far as the numbers are concerned but the act does stand for something: no matter how marginalized your principles are you stood up for them anyway and that is a noble endeavor that transcends the nihilistic utilitarianism of the political machine. Also, if you find every candidate unsatisfactory then you could simply just not vote: but only because there are other ways, better ways, to fulfill our duty as citizens to promote the common good. If you are more interested in making an impact beyond the fate of your own soul, one that impacts the society to which you belong, there are other ways, political and non-political, of getting involved. From participating at the grassroots level, in support of solid local candidates or organizations, to frequently writing congressmen, actively involving yourself in the social arena does far more good than your statistically insignificant vote ever could. College campuses should really ditch the “you should vote” campaigns and replace them with a “write your congressmen” campaign. Their votes actually are statistically significant and they represent you regardless of whether or not you voted for them: so demand that they represent you accurately and hold them accountable for their actions. What happens when voting is all we do. Furthermore, as people become less satisfied with their options, more and more people use their vote to vote against a candidate and not for someone. Overwhelmingly, people today use their vote to support the lesser of two evils in order to block the greater evil, but the lesser evil, if elected, then becomes the new standard and the quality of our politicians just continues to degrade from there. What a poverty that we now define every act of voting entirely in terms of evil. In contrast, when you write your congressmen you are not standing against a candidate but for a principle, and that is a breath of fresh air. In fact, you can write them on any issue, at any time, as much as you want. You pick and choose precisely what stances you want to support and you are not forced into choosing a package deal as you are with your vote. Certainly, a politician can ignore your letter but then, when your vote has only a one millionth of one percent chance of making a difference that hardly seems worse. But while political activism is even more important than voting, what you do in your non-political life is perhaps most vital of all. We must forget everything progressivism and relativism have taught us: how we live our personal lives matter. The way we present ourselves to the world makes an impact and what we do with our time, talents and resources has a far greater effect on our communities than our vote ever could. It thus becomes vitally important how we live, not just for ourselves but because our actions influence others. We must always strive in all that we do to promote what is good and reduce what is evil: to live our lives in accordance with the natural and eternal laws, to love good and hate evil, and to obey and respect just human law. To have a free and virtuous society we must first be virtuous ourselves. We must be vigilant and inform ourselves daily and share our knowledge with others. Most importantly, we must be charitable. We must not be like Satan and declare “I will not serve!” no matter how loudly our hedonistic culture shouts “me, me, me!” Instead, we must exhibit charity starting with the little things like smiling when we don’t feel like it or withholding a biting remark, and then work towards the greater things: giving back to our communities; serving the weak, the tired, the poor; helping those who cannot help themselves. We must put others before ourselves and no where is this more important than in the family. Children really are the future and they must be raised in love and taught the moral code so that they may surpass us in virtue. Now, one could certainly argue that the NDAA signifies one isolated incident and, as bad as it might be, one solitary bill signed into law doesn’t reflect on our entire political system. Well, if only that were the case. Unfortunately, however, the NDAA is a small part in a much grander trend saturating American politics. From repeated attempts to control the internet, the recent HHS mandate infringing upon religious freedom, to the enemy expatriation act, police brutality, and local police War Rooms, all just to name a few recent developments, the dynamo of opposing powers is rapidly shifting to the American people versus their very own government. Promoting a politically active citizenry who will stand up for life, liberty and the pursuit of property for everyone is more important now than ever before – and it starts with each one of us individually. Get out, vote, be heard and be not afraid.